“We’re going to go see THE PRETTIEST GIRL IN TEXAS.” “What?” I whispered all excited and laughed. And then he told me how he’s seen this stripper out at a bar a couple nights before and this is what she was calling herself. And he told me how the Cowboys were in town for their training camp and they heard about her too. So they brought about half the team out to see her and he’d never seen anything like it. old double wide trailer, covered in Christmas lights and with a shack built onto the side of it.” And inside, “There was an old woman serving drinks, and a couple of rednecks in cowboy hats. And there was a chubby salesman talking up a storm to somebody’s little daughter sitting on top of a broken pinball machine, eating one of those orange push up thingies. 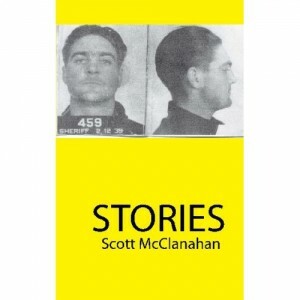 Now, what “it” is that he sees, is pivotal, but I refuse to give away the ending, because McClanahan nails the ending so perfectly–and so often nails the endings throughout this entire collection–that he exhibits mastery in that regard. This is a collection imbued with tenderness and pain, and mostly, with awe. It does that thing which literature can do- break down the class system, the barriers that exist regardless of how less so than before. McClanahan does this by celebrating the most simple of human lives and showing how remarkable they all are. One could compare his characters to those of Ray Carver’s or Larry Brown’s, but also to the characters of Chekhov or Tolstoy. There is an anti-smugness that gave me great pleasure in this book. The stories often feel told rather than written, because the narrator’s voice rings true and strong, evoking the ancient oral tradition. I’ll conclude with saying that the beauty of the most simple things in life can be overwhelming emotionally – a poor family helping out an even poorer family in the story “Captain D’s”, the narrator as a little boy trying to make diamonds out of coal — and that beauty is highlighted by the fragility of it all, the death-hauntedness that life is, and if we lived with that knowledge every moment of our lives it would crush us. But to crystallize that notion in art, somehow, someway, helps make it bearable.